Has the first resurrection begun? Home/Mailbag/Has the first resurrection begun? QUESTION: I have a question for you. What is your understanding of Revelation 6:10,11? The Watchtower interprets it in a way so that they may support their 1918 resurrection dogma. 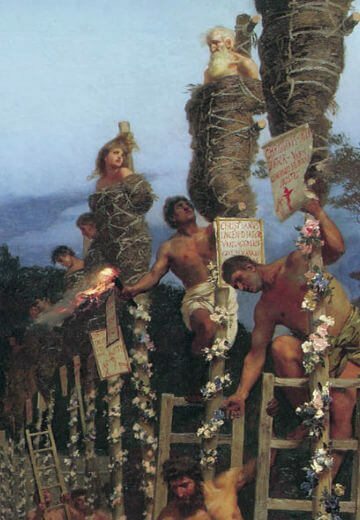 In their Revelation Climax book and in W07 01/01 they say that the Christian martyrs’ receiving white robes represents their being resurrected in 1918 while the “resting” “a little while longer” takes place AFTER they are resurrected when “they must wait patiently for God’s day of vengeance”. In the Revelation book they quote Revelation 3:5 and 4:4 in support of the idea that being dressed in white garments represents resurrection. What is your explanation of this, especially in light of Paul’s words in 1 Thessalonians 4:13-17 where he says that both the living and the dead Christian will meet Christ TOGETHER? This is a paradox and an irony: On the one hand, the Watchtower shows great insight into unraveling the sacred mysteries. On the other hand, because of being driven to harmonize everything to 1914 the Watchtower comes up with some head-scratching nonsense. If the parousia began in 1914, as the Watchtower teaches and as all of Jehovah’s Witnesses are required to believe, than yes, those who are destined to be among the first of the so-called first resurrection have already been resurrected. When does the first resurrection occur? There is strong evidence that it is now under way. For example, compare two chapters of Revelation. First, look at Revelation chapter 12. There we read that the newly enthroned Jesus Christ, along with his holy angels, wages war against Satan and his demons. (Revelation 12:7-9) As this journal has often shown, that battle began in 1914. Notice, though, that none of Christ’s anointed followers are said to be with Jesus in that heavenly war. Now look at chapter 17 of Revelation. We read there that after the destruction of “Babylon the Great,” the Lamb will conquer the nations. Then it adds: “Also, those called and chosen and faithful with him will do so.” (Revelation 17:5, 14) “Called and chosen and faithful” ones must already have been resurrected if they are to be with Jesus for the final defeat of Satan’s world. Reasonably, then, anointed ones who die before Armageddon are resurrected sometime between 1914 and Armageddon. It is true, in the vision depicting Michael and his angels battling with the dragon and his angels, there is no mention of the holy ones being in the fray, as there is in the final scene leading into Armageddon. And their reasoning is sound also, that the resurrection takes place during the interval of Satan’s “short period of time” that commences with his ouster from heaven and concludes with the annihilation of this world and the complete removal of all the demons. However, that does not in anyway prove that the demons were hurled down in 1914. It is a fallacy of argument known as alleged certainty. The notion that the first resurrection has already begun is based entirely upon the highly questionable premise that Christ has already come and the Devil has been hurled down. Upon closer examination of the verse in question, what are we to make of the fact that the resurrected holy ones are told to rest a little while longer until the number of their fellow slaves and brothers have been killed as they had been? Some were murdered by maddened mobs of zealot Jews, like Stephen was. The apostle James was executed by King Herod Agrippa. Paul was executed by the Roman emperor. The apostle John probably met the same fate when he was imprisoned on the island of Patmos. Tradition has it Peter was killed too. But how many anointed Jehovah’s Witnesses have been executed in modern times? I would venture to say none of the present generation have been. True, the Nazis horribly persecuted Jehovah’s Witnesses in Germany and in the countries the Nazis invaded. But amazingly only a few hundred were killed or died from their ordeals in the concentration camps. No doubt some were anointed heirs of the Kingdom. But that was a generation ago. But that leaves us with a dilemma. Revelation 12:11 indicates that the holy ones will be literally killed, and that “they did not love their souls even in the face of death.” But if the execution of God’s judgment depends upon the “rest being killed,” that is to say the “remaining ones of her offspring,” then there is no indication that the end of the system is anywhere in the future. Generations have come and gone since the resurrected martyrs were presumably given their white robes and told to wait for a little while and still there is no sign that anything is culminating. Here is the real problem. It is not something that Jehovah’s Witnesses are even capable of coming to terms with presently, but it is true — None of the seals of the scroll have been unsealed. That is most apparent and provable when we consider the ramifications of the opening of the six seal, which betokens the utter collapse of the present system, even the great tribulation. The Watchtower recognizes this and shrugs it off by claiming that, yes the sixth seal was opened back in 1914, but we have only experienced the preliminary tremors of the coming seismic shaking. What utter nonsense! How can all of this be reconciled? It is actually fairly simple. Shift the coming of the Kingdom and the ouster of Satan to a point in the immediate future. The opening of the seven seals will bring about war, famine, earthquakes and pestilence on a scale far surpassing anything that has ever occurred. These events will unfold over a short period of time, certainly not years and decades. The present, relatively benign governments will become a monster after the beast revives from the crash. Jehovah’s Witnesses will be outlawed. Just as the insane Nero falsely accused the Christians, Jehovah’s Witnesses could easily be vilified and set upon as enemies of the state, with no legal recourse possible in the aftermath of the collapse of democratic institutions. Indeed, as Jesus forewarned, brothers will hate and betray one another. Fathers will have their Christian sons put to death. Sons will have their Christian fathers put to death, etc. After the final sealing all of the chosen ones will be killed during the 1,260 day interval. That is how God’s purpose is ultimately accomplished. Their deaths will result in the “living” holy ones being transferred in the twinkling of an eye to join the holy ones who had already been resurrected, together the entire 144,000 will be united with Christ in heaven. And that is when the nations will find themselves confronted by an army of holy immortals led by Jesus Christ himself. The “error of Jacob” refers to the sinful state of the holy ones being remedied by the full application of the ransoming power of Christ’s sacrifice. Their atonement means that the new covenant is concluded. There is no longer any need for Christ to mediate for them. The altar upon which they were sacrificed to God, and all the trappings of the earthly organization, like sacred poles and incense stands, will be left behind. The spiritual altar that had been used to present the sacrifice of Christ to God and subsequently the living sacrifices of those who follow the Lamb no matter where he goes, including to their own slaughter, is then dismantled —pulverized. Christianity is thus concluded. 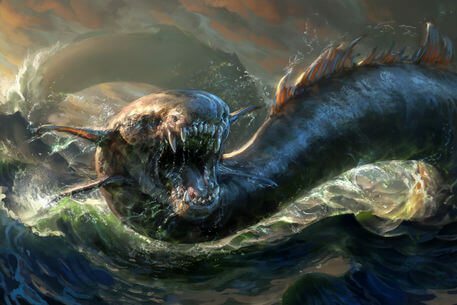 But the point is, Jehovah enters into judgment with Leviathan for his having killed the offspring of the woman, who are God’s sons, and nothing like that has occurred in modern times yet.